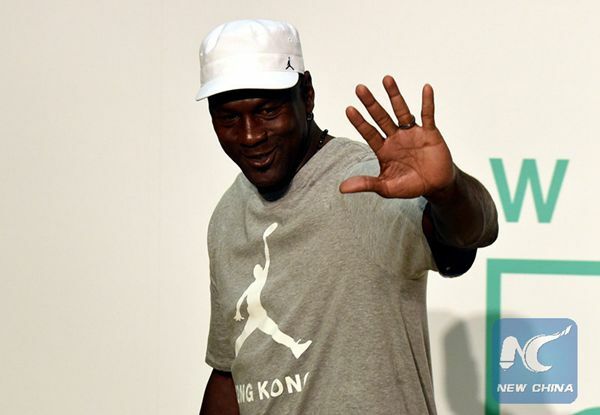 Basketball legend Michael Jordan now owns his Chinese name after the nation's highest court sides with him following a years-long legal battle. The former NBA star has been fighting a sportswear maker since 2012 over the Qiaodan name. In Mandarin, it sounds almost the same as Jordan. Jordan has been known by the Chinese characters for Qiaodan since he gained widespread popularity in the mid-1980s. He had previously argued, unsuccessfully, in Beijing courts that Qiaodan Sports had used his Chinese name, his old jersey number 23 and basketball player logo to make it look as if he was associated with their brand. Yesterday, the Supreme People's Court announced that it was overturning two rulings by Beijing courts against Jordan from 2014 and 2015. These had found that there wasn't enough evidence to support the athlete's allegations over the use of his image, and that Qiaodan was the translation of a common family name as the Chinese company had claimed. The top court also ordered the trademark bureau to issue a new ruling on the use of the Chinese characters in the brand name Qiaodan, effectively awarding the trademark to Jordan. The company can continue to use the Romanized spelling of the name, however. Chief judge Tao Kaiyuan said there was an established link between Jordan and the Chinese characters for Qiaodan, which are commonly used by the public when referring to the former basketball player, meaning that Jordan was entitled to protection under the Trademark Law. In a statement after the ruling, the company defended its actions but said that it would respect the court's decision. However, Apple Inc lost a legal battle earlier this year when a Beijing court ruled the company had failed to prove that iPhone was a famous brand in China before a Chinese company applied for the iPhone trademark in 2007. The Chinese company uses the iPhone name on its handbags and mobile phone cases.